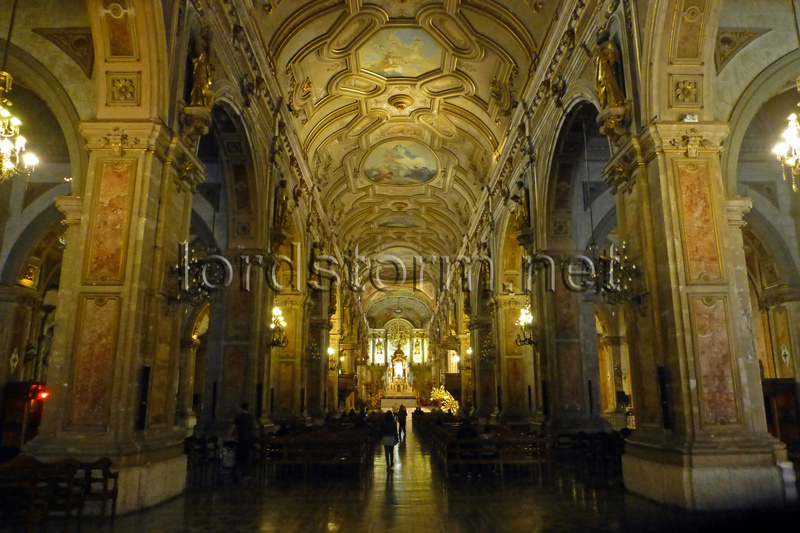 Looking down the central nave of Santiago's Metropolitan Cathedral. The interior dates from a renovation starting in 1898: the previous bare stone walls and wood panelling was covered with stucco. Another restoration in 2014 reinforced the building against further earthquakes.